If your career is affecting your mental health, it’s time to pivot. After interviewing hundreds of people in all types of careers—from firefighters to florists to CEOs, I noticed a pattern. Many of the most successful people didn’t follow a linear career path, but rather had entirely different lives, maybe a few of them, before they hit their stride. The idea that you have stick to one career forever, and know what that is when we are 18, is a dated one. The truth is industries shift, people’s motivations change, and opportunities you never saw coming can crop up. After writing Take the Leap: Change Your Career, Change Your Life I realized there are dozens reasons why people move on. 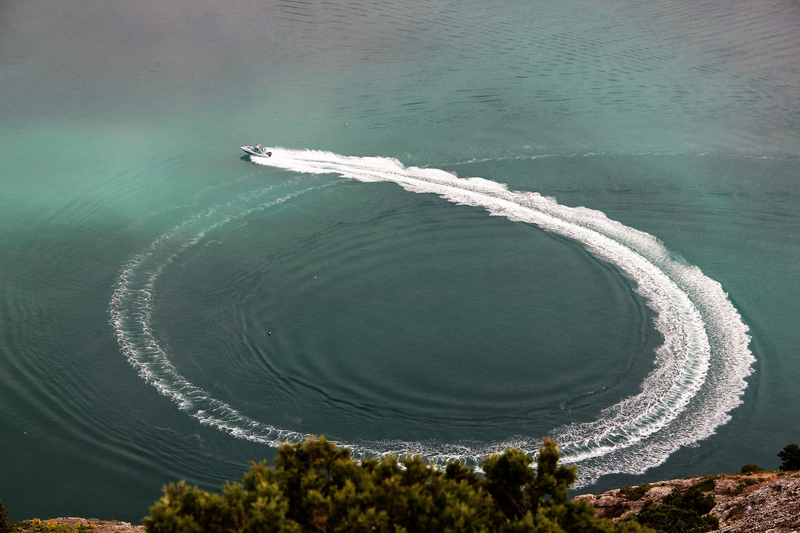 The key is to see your career trajectory as one that evolves, with twists and turns, and detours. So how do you know it is time to leap? Here are five indicators that you are ready for your next chapter. You find that thing that lights you up: The more invested you are in your career, the more successful you’ll be. So when you find something that drives you, and you can figure out a way to monetize it—go for it. Take Terri Cole, she was a modeling agent working with stars like Naomi Campbell, but not a fan of the surface nature of the industry. What she was excited about, was helping the models she worked with—getting them into rehab or therapy when they needed it. She is now a therapist and coach. Your Industry is Shifting: In a lot of industries, the signs of a change start coming early. Pay attention! Don’t cling on to a shrinking career path, instead use it as an opportunity to think bigger. As a freelance writer in 1999, I got paid pretty well per article. Fast-forward to 2008 when magazines were closing, there were less opportunities for magazine writers, and online rates were a mere fraction of I was paid previously. That’s when I launched a branding section to my business, offering my expertise in connecting with consumers to brands I wrote about, writing content for brand websites, and speeches and books for high profile people. I was using my skills, but in a different way that was more lucrative. Had I stayed stuck on being a magazine writer only, I wouldn’t have a career. Your career is affecting your mental health: If you are experiencing severe anxiety, depression, addiction, or sleeplessness triggered by the stress of your job, you need to pursue an exit strategy. Even people who love their jobs aren’t happy all the time at work, but when your job starts to impact your health then it’s not the right fit for you. Take Danielle Mastrion, as a graphic designer working in an office she experienced severe anxiety attacks. For Danielle, a pivot to working outside as muralist and tour guide, connecting with people and being creative, helped her find balance. You See a Gap in the Market: Some of the best business ideas come from seeing what’s missing. That gap, could just be your next venture if you jump on it. Take Ge Wang, he was a successful lawyer who couldn’t find a flattering suit. Now, he runs, ESQ Clothing, a bespoke tailor in Chicago with a roster of high profile clients. If you have always wanted to run your own business, noticing a potential business opportunity might be the spark that moves you in a different direction. If you’re willing to work more and make less to make your dream happen: If you are willing to log in more hours than you’ve ever worked, live on less income, give up on any spending that isn’t totally necessary, and move cities or to a smaller place in order to follow the career you really want, then you are invested enough to face anything. While 70% of the career switchers in Take the Leap are making the same or more money than their previous careers, many had to make sacrifices to get there. If you’re up for the potential sacrifices, to reach a bigger dream, then you have the right mindset to make it happen. 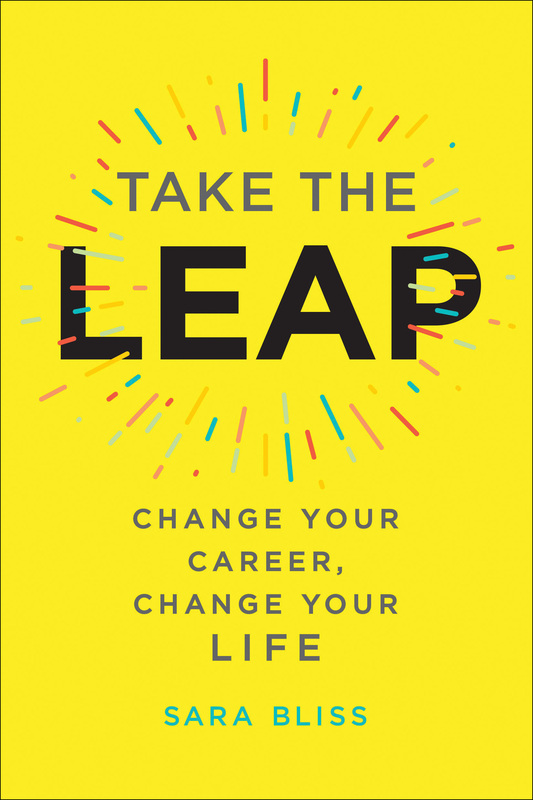 Published with permission from Take the Leap: Change Your Career, Change Your Life by Sara Bliss. Sara Bliss is a freelance writer and New York Times bestselling author who writes profiles and on the topics of business, health, beauty, design, and travel. Sara is coauthor and author of 11 books including Hotel Chic at Home, Pretty Powerful, Beauty From the Inside Out, and most recently, Take the Leap: Change Your Career, Change Your Life. A former senior writer for Yahoo, Sara’s articles have appeared in The Wall Street Journal, Town & Country, and Refinery29.